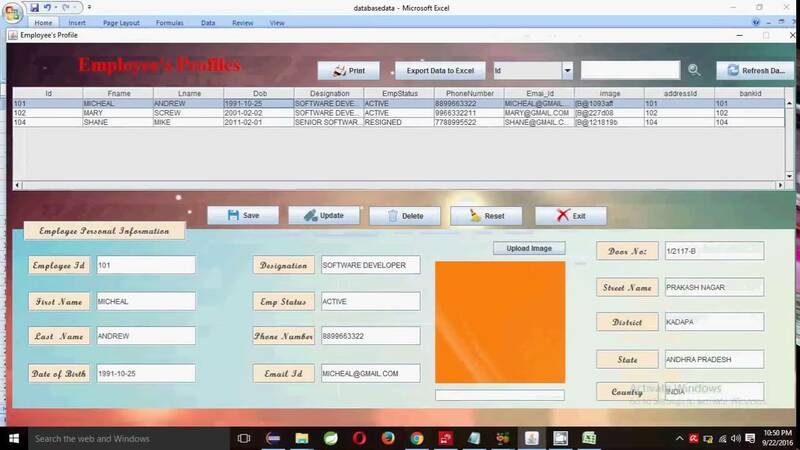 Hello buddies, I am designing a simple data based software in GUI. The user will give input in the textfields , and after pressing the "submit" button, it will take tht data from the textfield to the data base. Let me break my question in 2 parts. How to retrieve value from JTextfiled in JTable? After all the data how to store in database in one go? Name and Age should be retrive from JTextfield on jbutton1 action and by clicking jbutton2 all the data of Jtable should be stored in SQL DB. 23/04/2005�� I keep getting nullpointers or JTextField is not of type String. if I just set the String name object with the value that I want the search works fine and I get my data output. however I can't get the text from this textField into the String variable name code is below thanks for any help stu..